Come on out to the Film Bar and learn about the chemicals that are everyday products and what local companies are working to change our chemical landscape. We will start the evening by meeting the folks from Truce Cleaning, Strawberry Hedgehog and Peacock Pest in the lobby of Film Bar at 6:30pm. All three companies have made it their mission to supply healthy products with minimal chemicals. The movie “The Human Experiment” will start at 7pm and there will be a 30-minute Q and A with our fantastic business owners afterwards, further discussion is welcomed in the lobby. “The Human Experiment lifts the veil on the shocking reality that thousands of untested chemicals are in our everyday products, our homes and inside of us. Simultaneously, the prevalence of many diseases continues to rise. 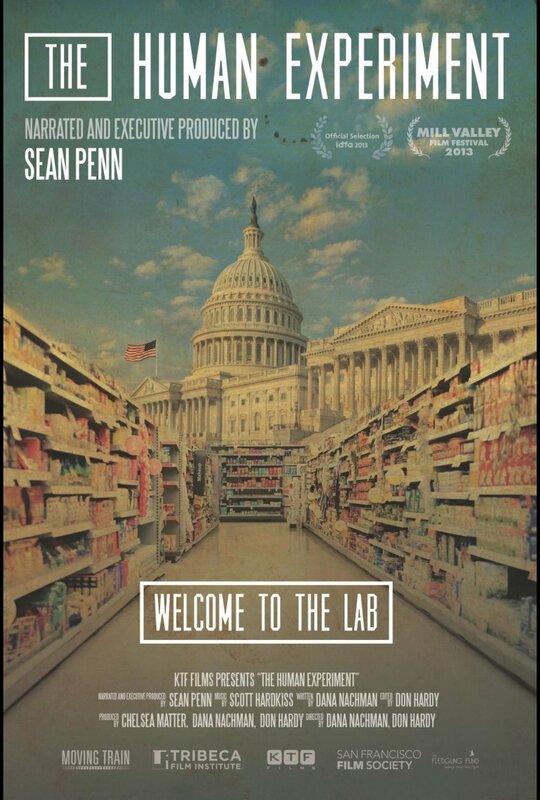 From Oscar® winner Sean Penn and Emmy® winning journalists Dana Nachman and Don Hardy, The Human Experiment tells the personal stories of people who believe their lives have been effected by chemicals and takes viewers to the front lines as activists go head-to-head with the powerful and well-funded chemical industry.